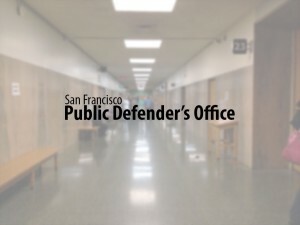 Editor – In the several articles published last week concerning undocumented youths in the juvenile justice system, Chronicle reporter Jaxon Van Derbeken referenced statements taken from a confidential written motion filed by one of my attorneys. In the articles, several statements taken from these filings were framed in quotations. This gave readers the false impression that Deputy Public Defender Lisa Katz, who is representing the minor, spoke with your reporter regarding her client’s case. She did not. This document was not provided by my office, nor did Deputy Public Defender Katz disclose this confidential filing to anyone. Instead, she refused any comment on this case, as did I. Under the California Welfare and Institutions Code, it is a misdemeanor to disclose confidential filings in a juvenile case. As an officer of the court and attorney licensed to practice law in this state, I am bound by the requirement that juvenile proceedings and filings in juvenile cases remain confidential. It is for this reason that I did not comment on the minor’s case. Your reporter wrote that I had “no comment” on the case, when in truth, I told him that I could not comment on a confidential matter and that it was against the law to do so. Unlike adult cases, juvenile proceedings and filings are confidential for a reason. The legislature has enacted these laws to protect children because juvenile proceedings are not considered criminal proceedings. These laws clearly prohibit the disclosure of the identity of juveniles or the circumstances of their cases to the press or anyone else. Whoever revealed this information to your reporter is acting in violation of state law, and could face criminal prosecution for revealing the information obtained by your reporter. I have asked the Juvenile Court to investigate whoever is responsible for leaking information from a confidential juvenile proceeding and to take appropriate action against the person responsible. It is unfortunate that whoever is revealing this information to your reporter has chosen to break the law, and that the Chronicle continues to publish this ill-gotten information.